Throughout the 1800s and into the early 1900s, wash day was an all day affair. One day each week was set aside to do laundry. During the summer, water was hauled out to the yard and put into a large cast iron kettle over an open fire. Wooden washtubs were used for rinsing and were set on a wooden bench close by. Homemade lye soap shavings were then placed into the boiling kettle of water. Next, clothes were added and were agitated with a wooden stick or clothes fork. 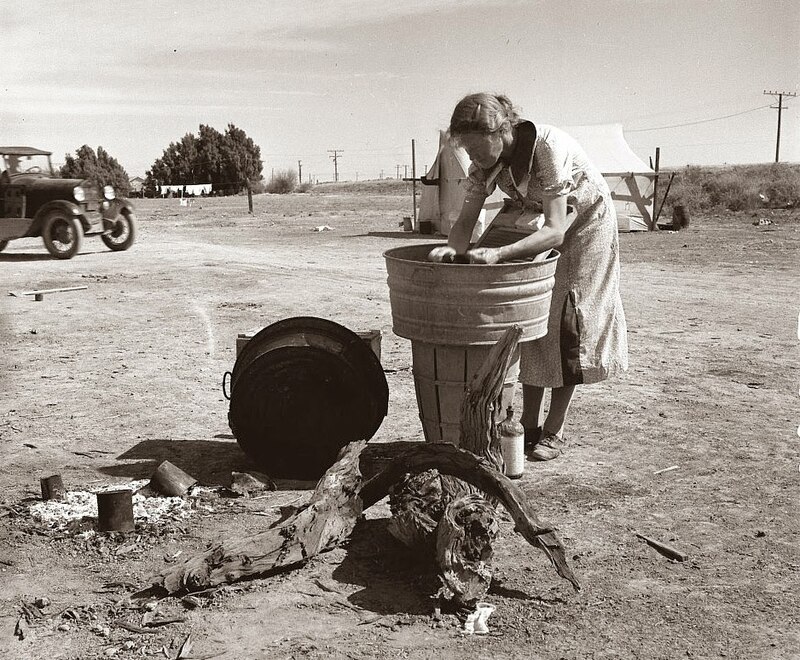 Clothes that were heavily soiled were scrubbed with a wooden washboard before being added to the water. After washing, the clothes were rinsed in a wooden washtub, wrung out by hand, and then hung on a thick hemp clothesline with wooden clothespins. If there was not enough room on the clothesline, the clothes were then hung on the porch railing, a nearby shrub, or laid on a rock in the sun to dry. During the winter months, the laundry was washed and dried inside. 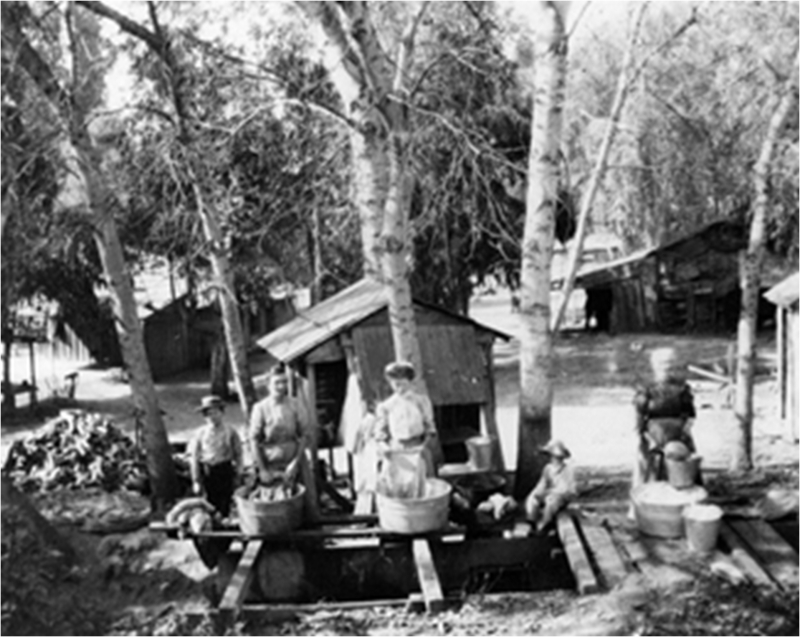 The water was heated on the wood stove, and the wooden washtubs were brought into the kitchen. The clothes were hung inside on a clothesline or laid out to dry. As you can tell from this photo, laundry was back-breaking work.